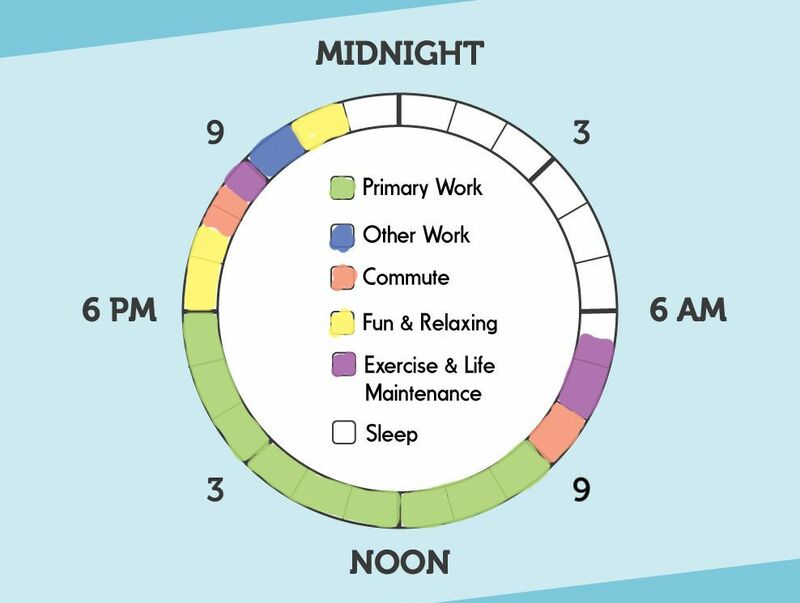 Inspired by the recent Info We Trust’s graphic depicting how “creatives” carved out time to work their craft, The Muse has applied the same methodology to create this Wheel of Productivity. It’s a simplistic way to better visualize and understand where time is going throughout the day, and how to improve your productivity. 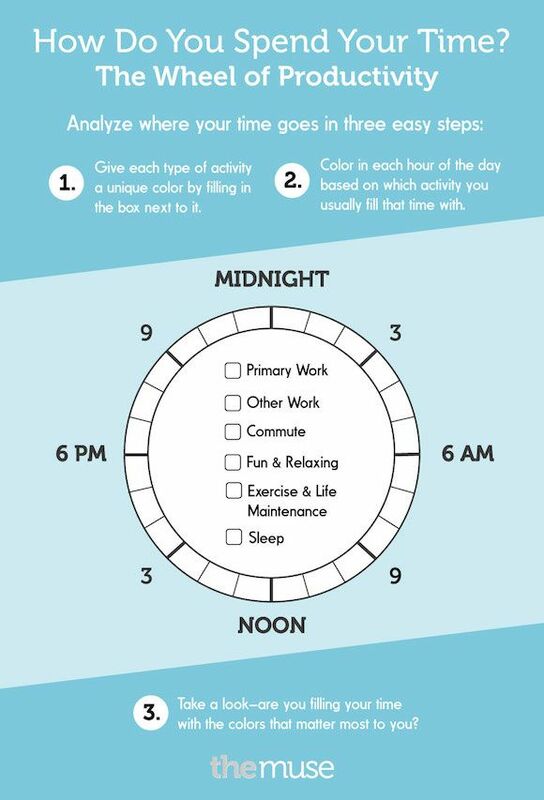 Fill out your own Wheel of Productivity – grab the visual below and using the paint tool (or colored pencils), give each activity a unique color, and then color in each hour of the circle based on the activity you usually fill that time with. Then give it a hard look: Are you devoting enough time to the things that matter most to you?